Air quality is acceptable; however, for some pollutants there may be a moderate health concern for a very small number of people. For example, people who are unusually sensitive to ozone may experience respiratory symptoms. This would trigger a health alert signifying that everyone may experience more serious health effects. This would trigger a health warnings of emergency conditions. The entire population is more likely to be affected. 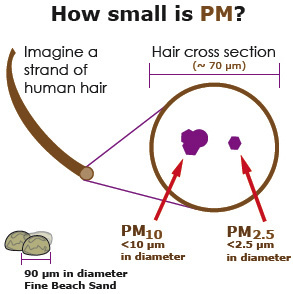 Pm0.1 (Altra Fine Particles), PM2.5 (Fine Particles) and PM10 (Course Particles) are the 3 main sizes of particles. PM2.5 which incudes all sizes up to 2.5 is the most dangerous because it cause more damage to the lung than larger particules. When you cough or swallow your body is trying to get rid of particulate matter that has been trapped in your lung by mucous that was produced for that job. Tiny hairs move the mucous and particles out of the lungs to the back of the throat where you then will cough it out. Smaller particles however, cannot be moved out of the lungs but become trapped by special cells that keep them there. If these toxic particles do become trapped in the lungs, they can cause lung disease, lung cancer, emphysema, etc. Though the smaller particles may cause the most damage to the lungs, both PM2.5 and PM10 can cause a series of respiratory health problems (occurring within the lungs and airway). Due to the fact that PM2.5 is smaller and often much more toxic (metals and cancerous material) than PM10 it causes more damage to the lungs because it travels deeper. These examples of PM2.5 are made by burning fossil fuels, fires, and smelting and processing metals. Definition: Ground level ozone is ozone present as a secondary pollutant in the lower atmosphere, where its formation can be enhanced by other pollutants. It is highly toxic at levels above 0.1 parts per million (p.p.m.). 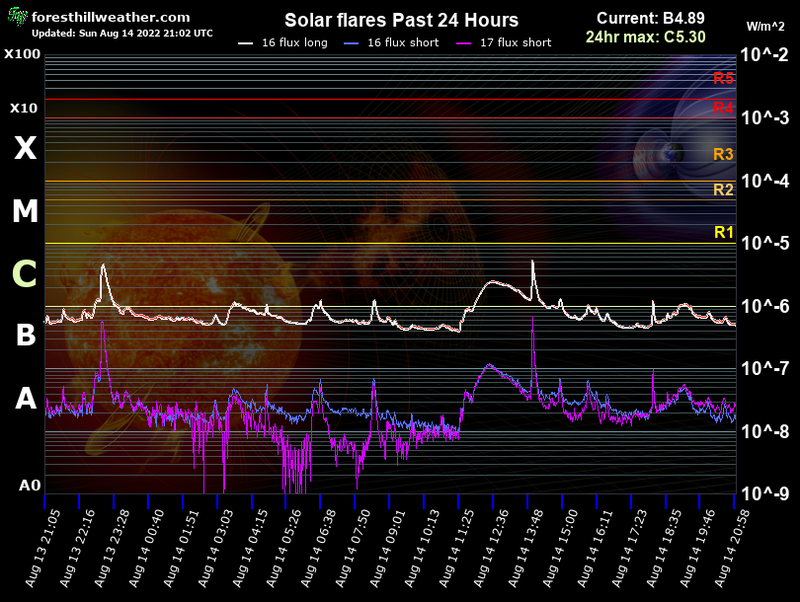 Stratosphere Ozone: This is Ozone located 6-30 miles up in the air in the stratosphere. This layer blocks harmful UV rays from reaching the earths surface. See UV radiation Page This is also known as "good Ozone"
(0-50) No health impacts are expected when air quality is in this range. (51-100) Unusually sensitive people should consider limiting prolonged outdoor exertion. (301-500) Health warnings of emergency conditions. The entire population is more likely to be affected.